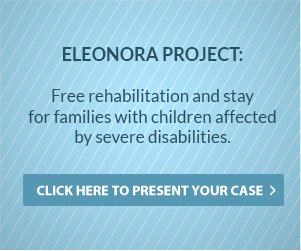 "’Many for one’...because nobody should be … ‘one of many!’"
Eleonora left us after only 52 days of life due to a rare genetic disease called Spinal Muscular Atrophy (SMA). We, her family, like to think that what we had to face and live through together was not in vain. It is our to endow her brief life with greater dignity and meaning by helping others, that is to say other children and other families looking for simple and concrete support.